Who would have guessed that the LDS Church has been providing charitable funding for prosthetics? This is a welcome discovery, and indeed a gift, as identified by the LDS Newsroom article. We should embrace the perspective of prosthetics and drugs as grace, and as tools for making better persons and a better world, rather than as somehow degrading of our value or detracting from our true identities. We are, each of us, utterly dependent on our environment, a small portion of which we call "anatomy", identify with, and feel relatively empowered over. For many of us, that small portion of environment called "anatomy" includes plastic or silicon. If, as the scriptures clearly advocate, God is in and through all, and we are the body of Christ, then our plastic- and silicon-extended friends are quite as much reflections of the image of God as is any one of us. "Howard Collett of LDS Philanthropies detailed stories from the Dominican Republic, where common modes of transportation include motorcycles, bicycles and walking. People who use these types of transportation in crowded cities are no match for larger road hazards such as buses, trucks and automobiles. When an accident occurs, motorcyclists, bicyclists and pedestrians suffer the greatest consequences. 'Since amputation is free, it's a frequently used alternative for critical leg injuries,' writes Collett. 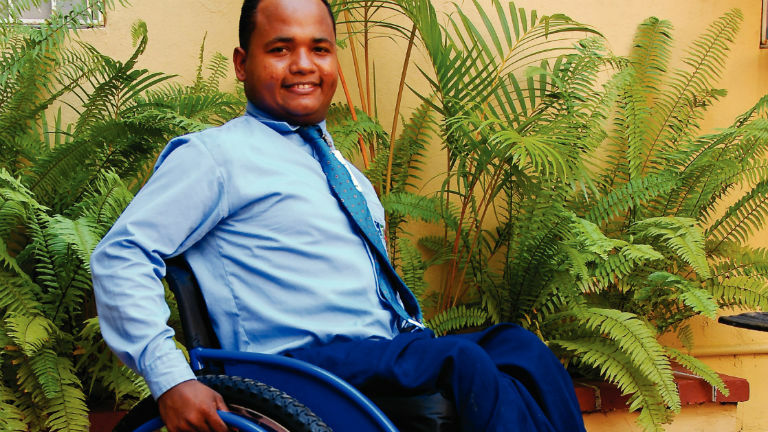 "Some in the Dominican Republic who suffer those injuries now benefit from a program in which the Church's Humanitarian Services, in partnership with Innovacion Ortopedica, is providing funding for 50 people each year to receive prosthetics that would otherwise be unaffordable."